Okay, Alarm.com user: here's what you can do. Kids in bed for the night? Finally sitting down for a movie? There's no need to get up again—or even reach for your phone—to arm your security system for the night. "Okay Google: ask Alarm.com to arm the security system." Our Action makes it easy to secure your home's perimeter, with voice control for smart locks and garage doors. Okay Google: ask Alarm.com: what's the thermostat temperature? Knowing the temperature is good, but when you're too hot, you just want to cool down. 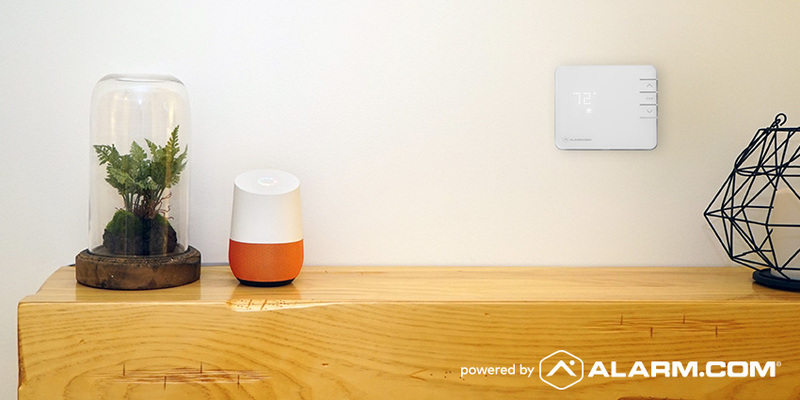 So, we included the ability to voice-adjust your thermostat by value or comfort level. Already got Google Home and Alarm.com and raring to go? Here's how to get started. 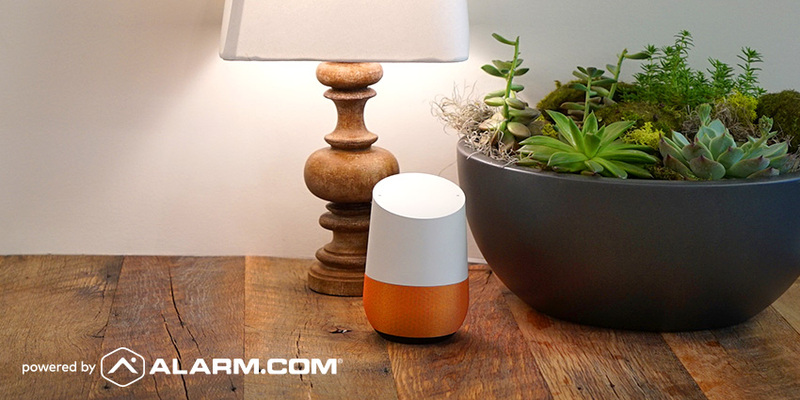 First, enable the Alarm.com action by telling your Google Home: "Okay Google, talk to Alarm.com." Next, open the Google Home app. Enter your Alarm.com account login and password to sync your account. You'll have the option to create your PIN as part of the setup process. Don't have Alarm.com yet? Get connected with an Alarm.com service provider by entering your ZIP code into the box below, or find out more about getting Alarm.com by clicking here.